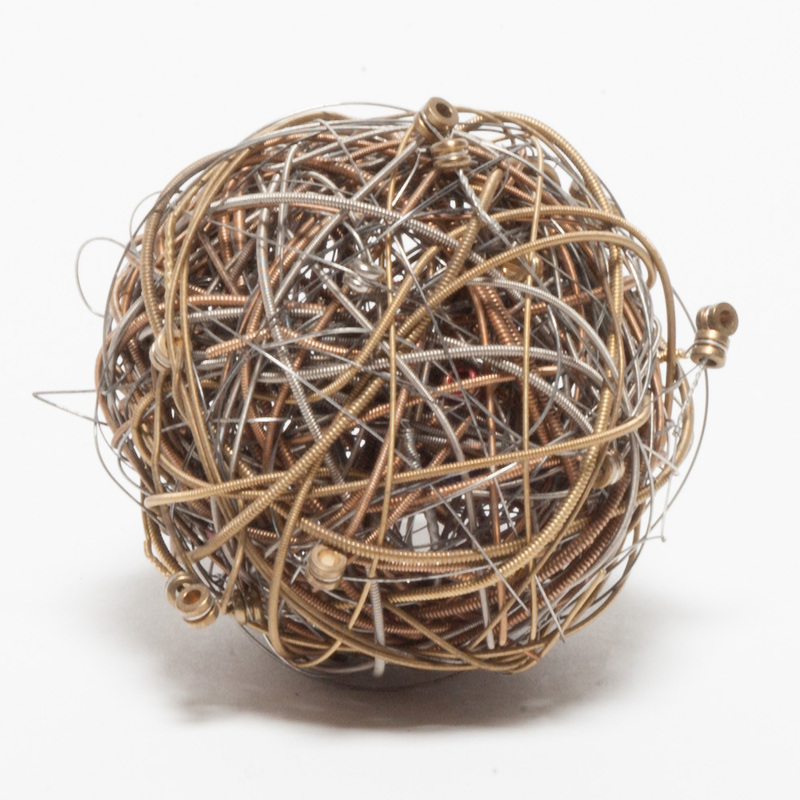 For years I've collected used guitar strings. Every time I change the strings on one of my instruments, I coil up the spent ones and toss them in a bucket. A few years back, a friend of mine bought a guitar shop downstairs from our apartment. Not only did this become a home away from home for me, but it was also an excellent source of used guitar strings. Every time they setup someone's guitar, every time they changed strings on an instrument in the shop, they kept the old ones for me. Soon, my string collection grew unwieldy; I had (and still have) thousands and thousands of old guitar strings. I had no idea what I was going to do with them. Eventually, I started futzing with them, trying to figure out what type of form to make. I tried weaving them, soldering them, braiding them; nothing quite worked. Eventually I began coiling them as I had when I first took them off the guitars. As each string is coiled, it is interwoven with the others. 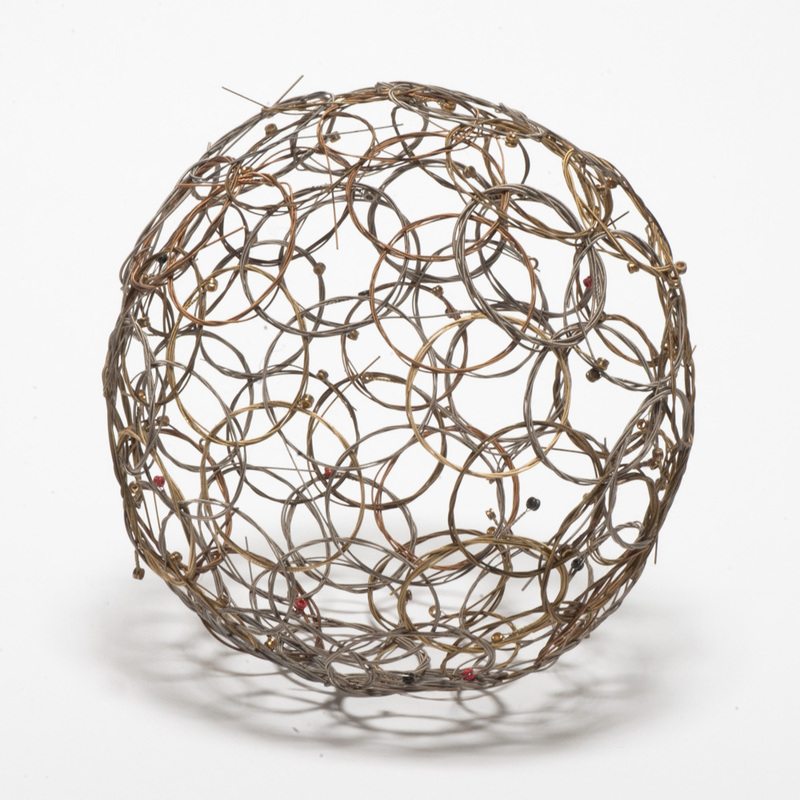 As more strings are added, the form naturally begins to bend itself into a spherical shape. 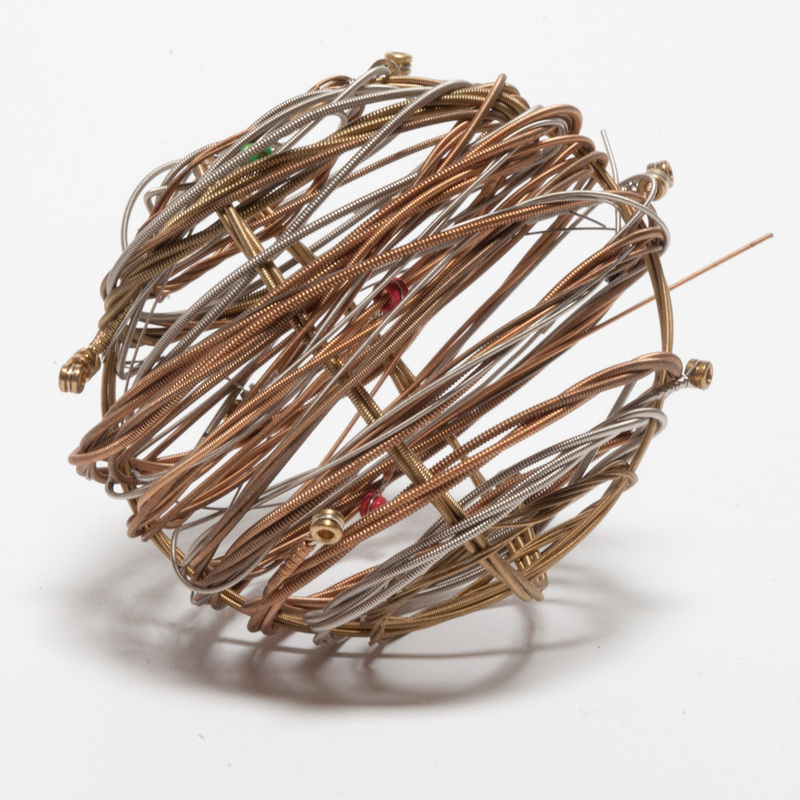 The size of the coils seems to dictate how big the overall sphere will be; start with bigger coils, and you end up with a bigger string ball in the end.